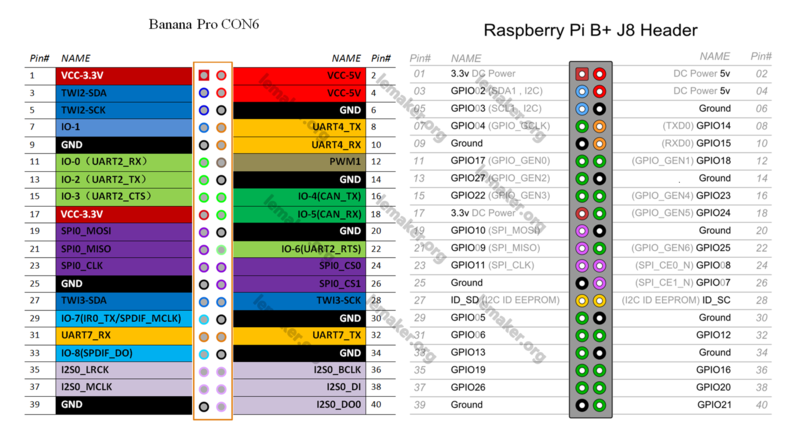 CON6 is for GPIO headers. CON5 is for camera interface. 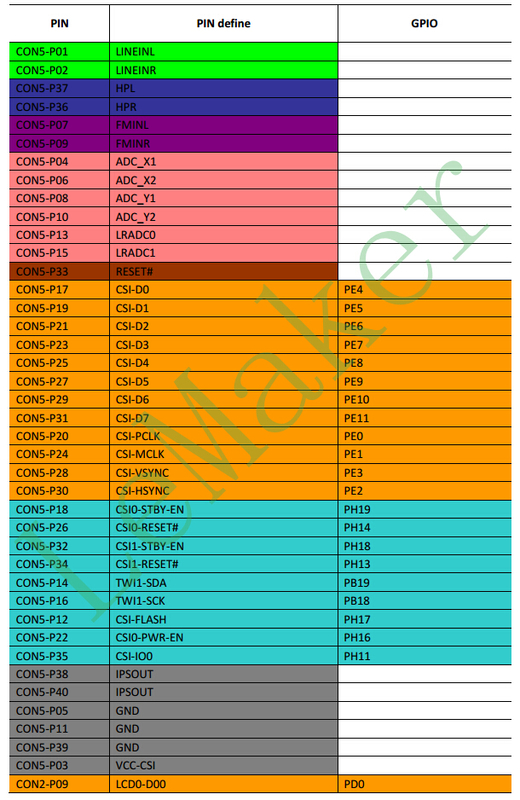 CON2 is for Display interface. And now you're waiting for 'the community' to produce something useable like https://github.com/CaptainStouf/ ... pi/rpi_bpi_GPIO.pdf ? 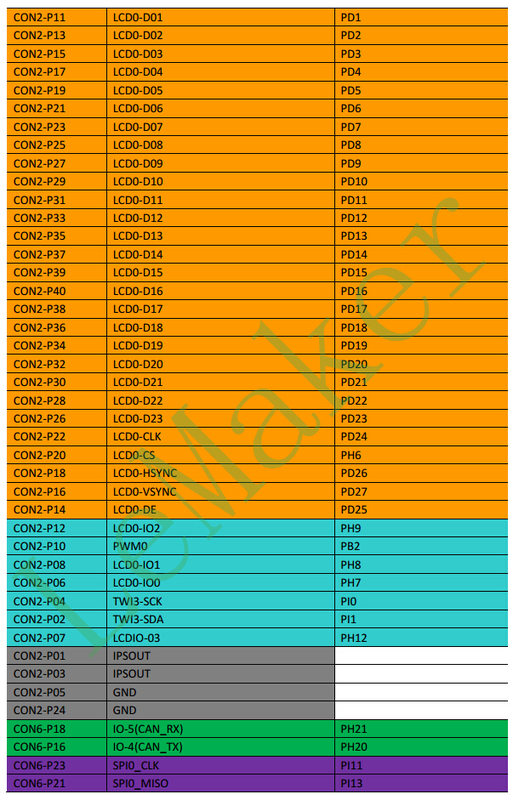 in the pdf-file (RD0016)BP&RP_PIN_comparision.pdf in the column for the Banana Pro there is always mentioned CON6-01, for every pin. Could you please correct that. And it would be helpful to now where pin1 starts and how you count up to 40. I have correct it . Thanks for mentioning. 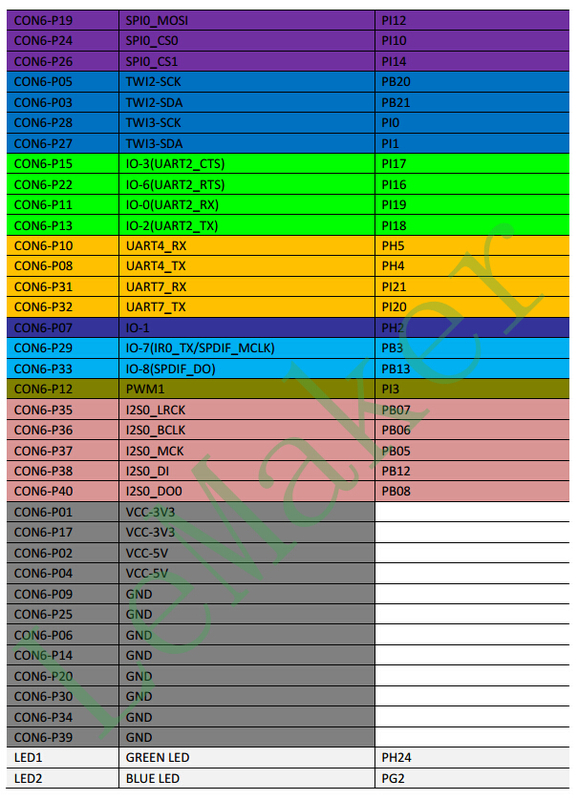 Soon I will update the document with the BPro pinout. Where can I find complete schematics for Banana Pro? I only found schematics for Banana Pi. The stuff I'm looking at is all hardware-based. You could always see if it pops up in lsmod. Otherwise... Are you any good at Assembly? EDIT: Oh, and I should mention, stealing stuff from Raspberry might not be out of the question, if such a thing were to exist. Makes me wonder again why this was needed but I can't see the thread in this view. I found schematics of the Orange Pi mini on their site. 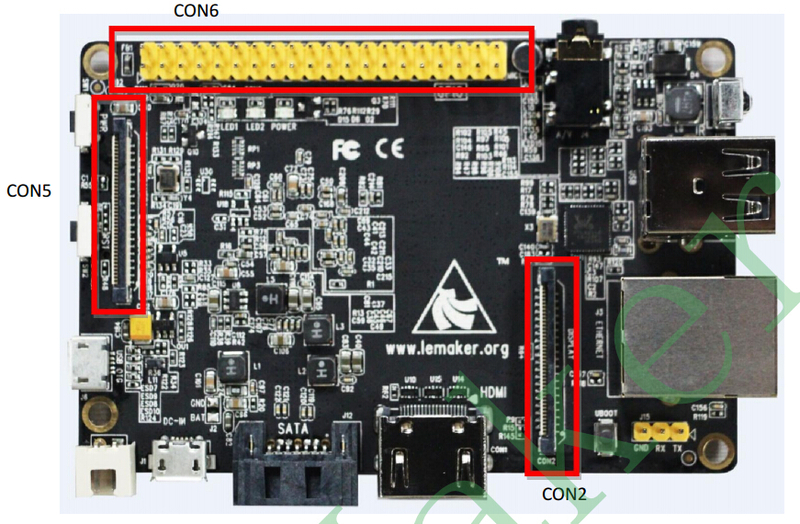 It should be very similar to Banana Pro schematics since it appears to be the clone of Banana Pro.